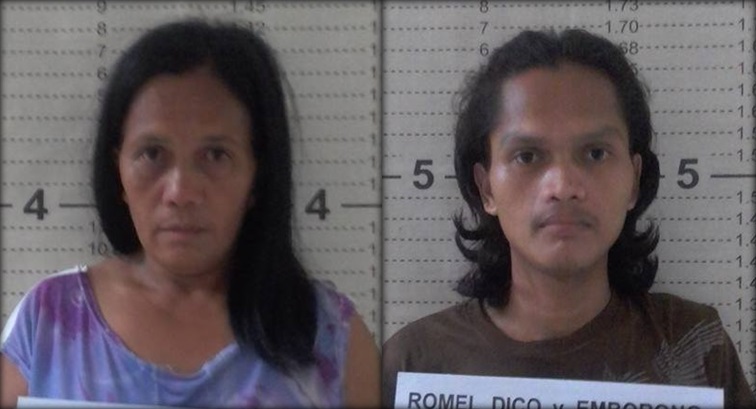 A woman, 47, and her son, 24, were arrested by police for possession and sale of illegal drugs during a drug buy-bust operation in Clarin town on Sunday. Clarin police chief Insp. Fernando Peroramas identified the suspects as Doleres Dico and Rommel Dico, both residents of Sitio Redland, Barangay Bacani in Clarin. According to Peroramas, the Dicos were newly identified as drug personalities in their neighborhood prompting police to set up the sting operation against them. They were placed under surveillance by police and were spotted dealing drugs by authorities, said Peroramas who noted that Bacani is one of the most drug-infested villages in the town. Rommel allegedly sold shabu worth P200 to a poseur-buyer while he was with his mother who bolted after sensing that they were subjected to a staged drug transaction by police. Authorities said that they were able to immediately catch Doleres and found in her possession two sachets of suspected shabu and drug paraphernalia. Both suspects are now detained at the Clarin police lock-up jail pending the filing of drug charges against them.